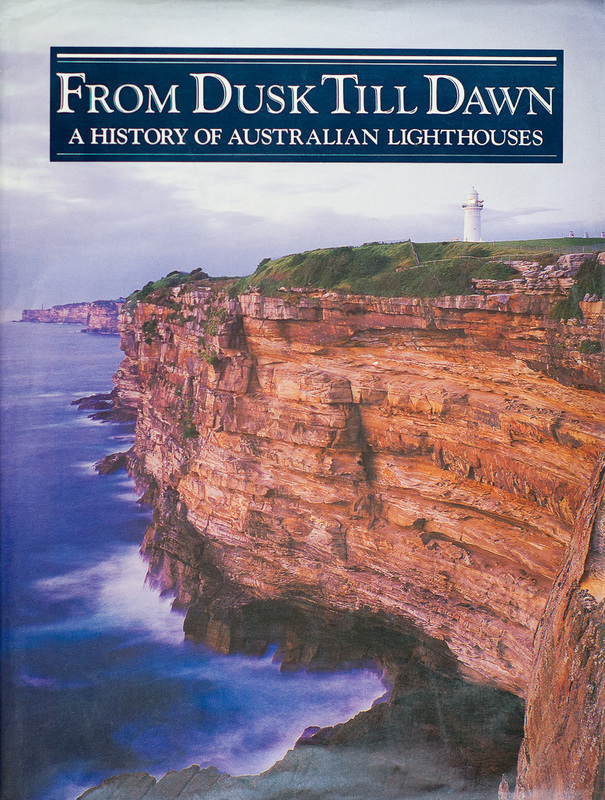 I travelled around Australia in 1987, taking photographs of Lighthouses for the lighthouse history and coffee-table book From Dusk to Dawn (A History of Australian Lighthouses). This was the federal Department of Transport and Communication‘s contribution to the 1988 Australia Bicentennial and featured around ninety of my images together with text by historian Gordon Reid. The book is long since out of print and there is not likely to be another edition. A few copies are available second-hand. There was also a leather bound edition or 25. 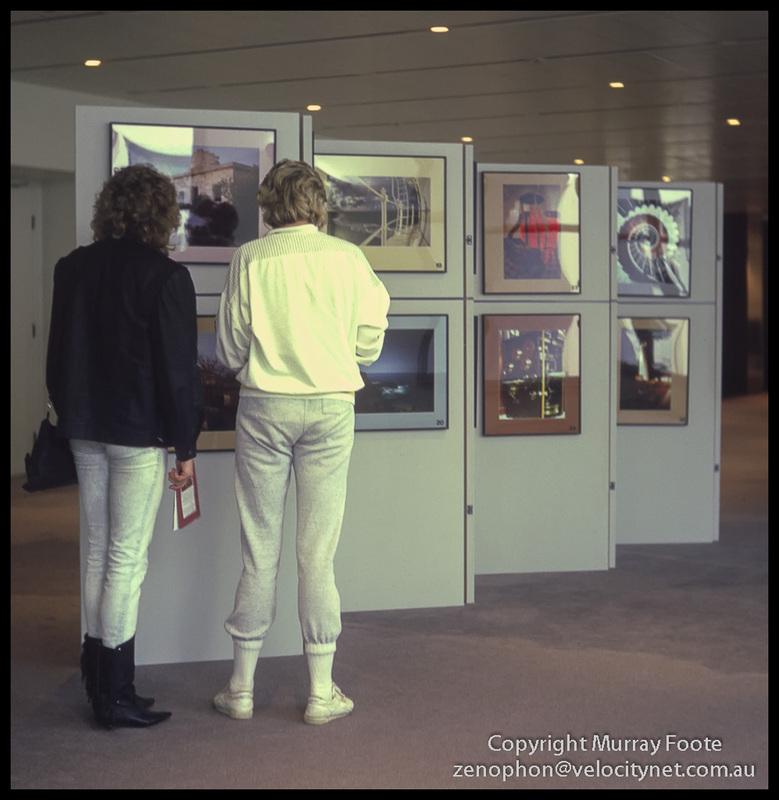 As well as the book, there was an exhibition, first in the Link Gallery outside the Canberra Theatre and later in the (then very) New Parliament House. This comprised thirty Cibachrome prints that I printed on a borrowed enlarger. This was an exercise in time management. Due to the vagaries of gallery booking slots I gave myself two weeks only to make the proposal, get it accepted, borrow the enlarger, make 35 or so prints to end up with 30, arrange the matting and framing, generate and print a catalogue and hang the exhibition. Amazing what you can do when you put your mind to it. Then I will cover each of the lighthouses I visited. 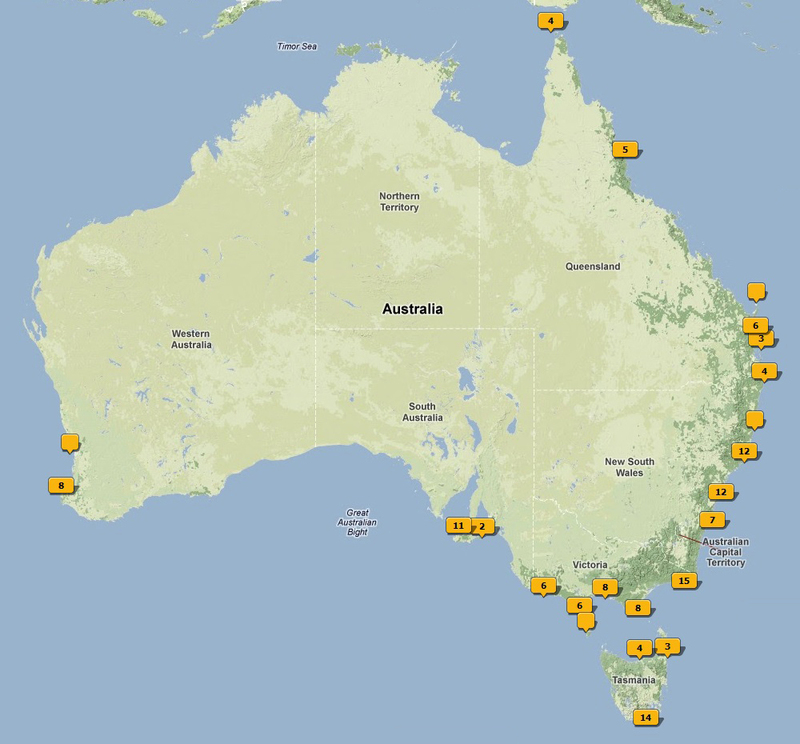 For consistency of presentation, this will be in clockwise order around the Australian coast from Queensland to Western Australia. There are hundreds of lighthouses in Australia. My focus was the Federal lighthouses used for ocean navigation and those that were manned at the time, of which there were thirty. Others include State lighthouses, sometimes for navigation into harbours, and other unmanned lights. A few years after I went around, all lighthouses were automated. Maatsuyker was the last to hold out but there are no manned lighthouses in Australia these days. Here is an indication of the locations of the images. The numbers are numbers of images (and blank equals one) but it’s not precise because where several lighthouses are close together they become grouped in a single box. The 14 for Southern Tasmania, for example, represents three lighthouses. The Australian Maritime Safety Authority (AMSA) is the owner of these images for any commercial purposes. However, I received permission to scan them and to make and sell fine art prints (which I may make available at a later date). At the moment, my expectation is that I will post colour images and may do one or more posts of monochromes at the end. I have most of the images but not all. There was a period when the Department’s collection was not well maintained as images were loaned out and good records not kept. For one of those missing images I made some prints in 1988 that I can scan. For one or two of the rest I might copy images from the book. I may also include scans of a few others that I took as personal images while travelling between the lighthouses. This entry was posted in Australia, From Dusk Till Dawn, From Dusk Till Dawn Summary and tagged Architecture, Australia, History, Landscape, Lighthouses, Photography, seascape, Travel. How interesting, Murray; I’m looking forward to seeing your pictures… there’s something mysterious and wonderful about lighthouses isn’t there? There is indeed and I received a remarkable historic opportunity. I was probably the only official photographer ever sent around Australia for that purpose and the traditional culture of lighthouses was still alive at that time. Also I’d just got into large format and had just worked out how to take nighttime exposures on film. What an experience! Did you visit every single one? What an achievement! So I did get round all thirty and I also have images from ten or twelve more. Just looked the book up – £60 on Amazon! I don’t know how that translates to $! Well the book originally sold for $A50. If you take inflation into account, that is equivalent to $A105 in current-day terms or £71. So maybe £60 isn’t as expensive as it might seem. I’ve previously seen them going for $A250 second-hand in Australia. Wow. A project of epic proportions… Well done! Thanks very much Alessandro. Sometimes you can just be in the right place at the right time. I used to bring my monthly prints for the Photographic Society competition to work to show to a friend and since they were there, I put them up on the wall for the day. One of the people there became head of the then Navaids Division and since he had seen my work, I was offered the job. I didn’t even have to apply. I was also told the budget was unlimited and encouraged to be creative. Consequently I bracketed in 5×4 to be sure of getting correct exposures which I had never done before. This, my friend, is pure inspiration. Thank you. This is a project I would love to reciprocate in Scotland – congratulations – You should return it to print wonderful achievement. Thanks very much Scott. Yes, I’ve seen some images of spectacular lighthouses in Scotland – Skye and Lewis for example. 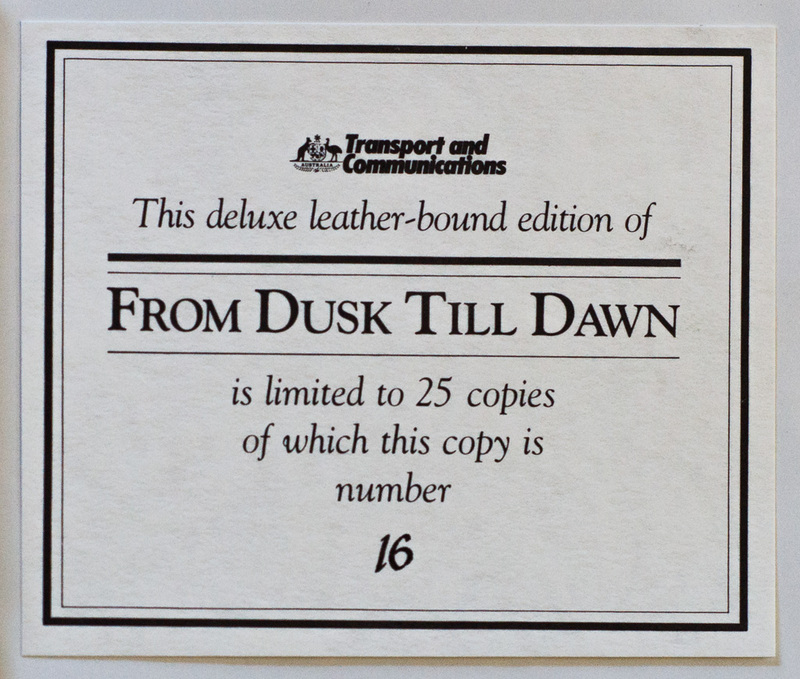 Hi Murray, I just purchased a copy of Dusk Till Dawn in amazing condition! As a lighthouse lover I have been wanting this book for some time. Its in depth information on the history of our lighthouses is amazing and your photography is a great complement to the book and surprisingly exceeded my expectations. I would like to thank your for your hard work and time effort it must have taken you to travel around our coast documenting our wonderful Lightstations when still quiet a few were still manned. As its a great shame that all the keepers have gone. Also would you know how many prints of the first edition there were. And if there were any reprints of the first edition or a second edition? Thanks Geoff. Thanks very much Geoff. It was a wonderful opportunity at the time, particularly since I had just got into both large format photography and moonlight photography at the time. Also because I got to meet many of the lighthouse keepers who would all be gone a few years later. I must have known the print run at the time but don’t remember how many that was. However, there was also a special leather-bound edition of which I have one. The print run for that was 25. There were no reprints and no second edition. My lover and I have a long association with the Point Hicks lighthouse. I love your monochrome of that lighthouse. Is it possible at all to get a quality print of it to hang in my house?